This is one of my go-to quick and easy recipes for busy weekday nights. My kids love it, and it goes from the oven to the table in about 20 minutes. If you have kids who aren’t crazy about vegetables, this one might win them over with its sweet and salty taste. It goes well with rice and chicken, fish, or potatos. Alternatively, use it to add a light and sweet balance to heavy entrees. You can also make it a day ahead of time. 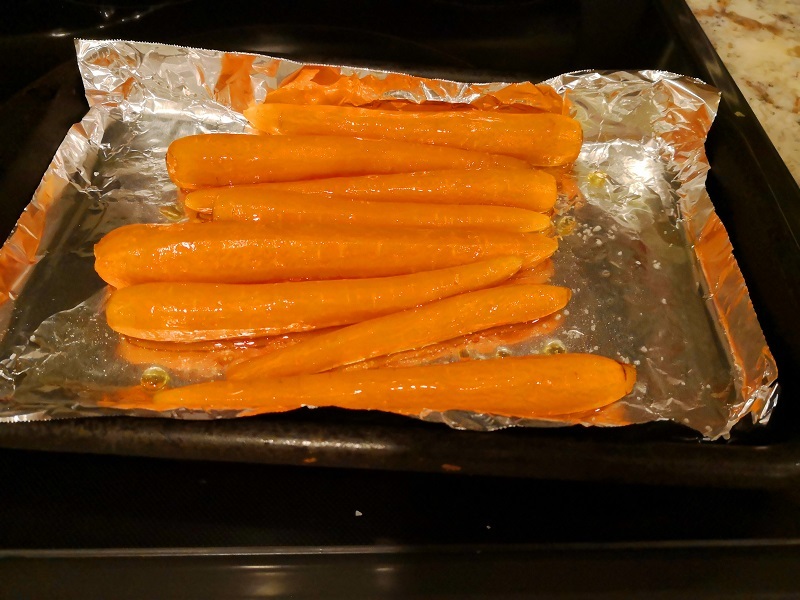 Use thin carrots for this recipe, or you can slice thick ones down the middle. 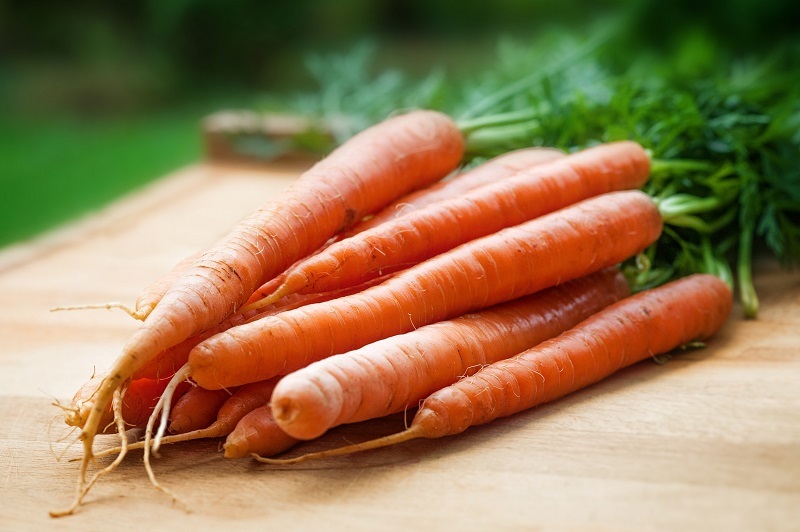 If you’re using carrots with the greens still attached, remove the tops and use to make carrot greens pesto. You can also cut the tops and reserve 1 inch of the carrot top, removing the greens above. Place in a shallow container of water and keep moist (they should not be completely submerged in the water). The tops will sprout more greens, which you can cut and eat or better yet, plant in your garden once roots begin to develop for an abundant, self-replenishing supply! Sea salt is often promoted as being a healthier alternative to ordinary table salt. There is a grain of truth to this: unlike table salt, it is minimally processed or not processed at all, and as a result it contain traces of minerals like magnesium, potassium, calcium and other nutrients. On the other hand, sea salt doesn’t contain as much iodine as table salt. Otherwise, it’s pretty comparable to table salt in terms of the amount of sodium it contains by weight, so go easy when using it. Many people prefer it to table salt because of its coarse, chunky texture and stronger flavor. We are dedicated to sharing information about and strategies for healthy, eco-friendly living. As a consumer, you have power to minimize your exposure to toxins and change manufacturing practices that harm human and environmental health. Grow enough food to feed your family! You’ll also get access to my library of Free Resources for signing up. I hate spam and will never spam you or share your information. What makes hemp such a sustainable crop? What if we could see exhaust emissions? Wind farms to power global cities? want some free resources to help you maintain your healthy lifestyle? Click the button above to get a preview and then sign up!